I’m a little shocked. 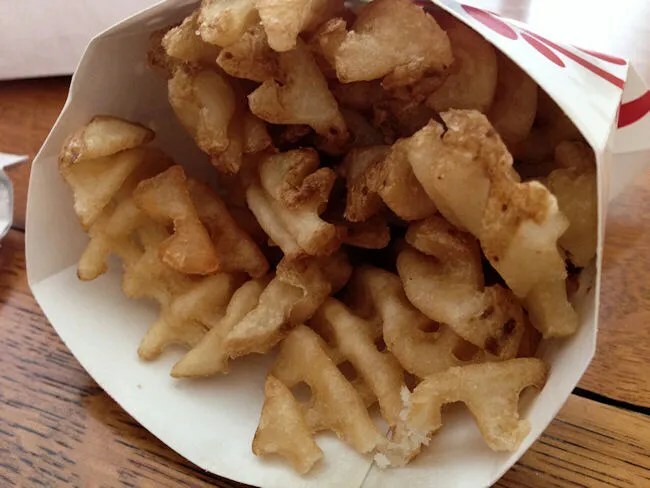 I didn’t think I’d ever be writing another blog about a Chick-fil-A. The only time J and I have ever eaten at one was on our honeymoon. We were traveling from Indianapolis to Kalamazoo to check out an apartment. We made a quick stop in South Bend, IN because we saw a sign for one right off the highway. Neither of us were super impressed and J isn’t a very big fan of their corporate stance on social issues. 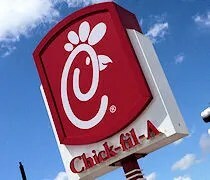 We still don’t have a Chick-fil-A near us here in Southwest Michigan, but one did recently open up near J’s parents. After spending a couple days at my parents, we decided to go to J’s parents for a few days before having to head back south to my parents again. If you haven’t been paying attention or haven’t put two and two together yet, this trip home was because my grandma was in bad shape and Sunday morning, she passed away. J, L and I had to stay in town a few extra days for the wake and funeral, but we didn’t bring clothes for that with us. We could have just drove back to Michigan to pick them up and head back, but we decided it was more important to spend as much time with family as possible, so J and her mom went on an emergency shopping trip to buy some dress clothes for three of us. We were taking advantage of coupons my mom and her mom had from various credit cards, so J and her mom went to the Chicago Ridge Mall while L and I stayed home and played with grandpa. 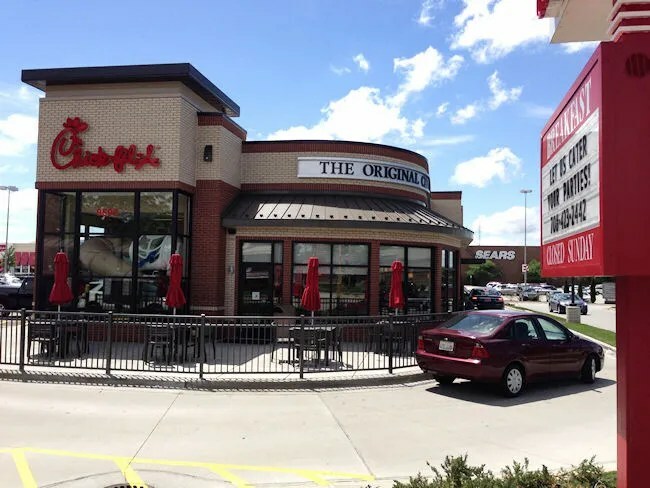 Just outside Chicago Ridge is where the Chick-fil-A popped up in Chicago Ridge. It’s on the Ridgeland Avenue side of the parking lot just south of West 96th Street. It’s a stand alone building in the mall parking lot right near the mall entrance. J sent me a text and asked what I wanted. I had no idea, so I had to look a menu up online. Everyone always raves about the chicken sandwiches, but last time I had one, it was just, eh. I decided to mix things up a bit and ordered the Spicy Chicken Sandwich and an order of waffle fries. 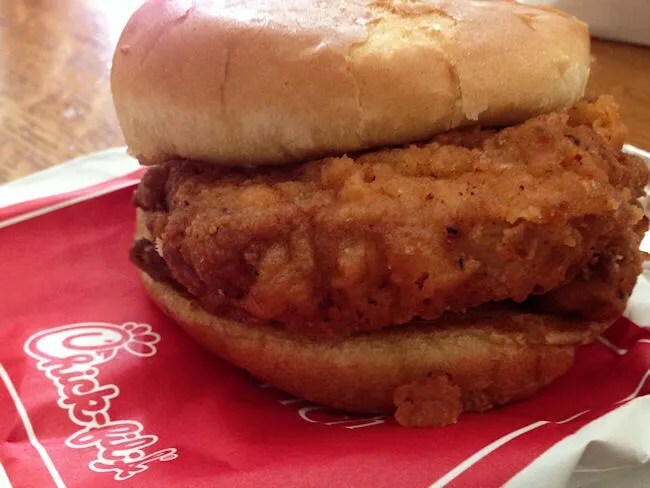 The Spicy Chicken Sandwich is cooked the same way as the regular chicken sandwich, but there are peppers added to the breading. It’s actually a little on the spicy side which I found added more depth to the sandwich. The sandwich is served simply with a single pickle on a buttered white bread bun. J and her mom both ordered a salad and both were surprised at just how delicious it was. They both ordered the Grilled Market Salad. 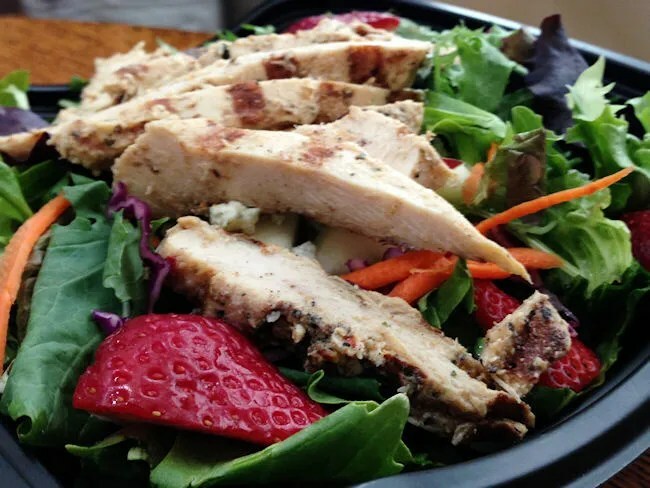 This salad is a mixture of romaine and baby greens topped with grilled chicken breast, red cabbage, carrots, bleu cheese, red and green apples, strawberries and blue berries. It’s served with granola, a roasted nut blend, and a Zesty Apple Cider Vinaigrette. Many times throughout the course of this lunch, J and her mom remarked at how good the salad was. J was so conflicted because she wants to hate Chick-fil-A, but she did really enjoy this meal. We decided to do takeout from Chick-fil-A because it was convenient….and we’re still trying to figure out the obsession with the place. I can say, this trip left a better impression on us than the last one did for sure, but in the end, it’s still fast food. J and her mom really liked their salads. I enjoyed my sandwich and love that it’s something different from the typical fast food, but it’s still fast food….which for me, just serves the purpose of making me somewhat less hungry than I was before I ate. Years, ago there was one in University Park Mall in Mishawaka before they move to a free standing location. I would occasionally eat at when I was in a hurry! I like the chicken sandwich & waffle fries but I didn’t love them! But they are fast Food, so I am not going to make a special stop for them now at there free standing location. Thanks so much for the feedback! We definitely appreciate it. If you’re ever in the area again, let me know and I’d be happy to buy you a shake!